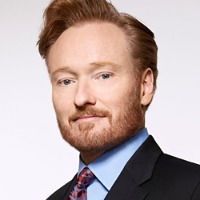 This just in (or this in recently while we were sleeping, but no matter): Conan O’Brien is calling for a Los Angeles street to be named after him. And not just any old street; he wants West Raymer Street, in particular. It’s an unpaved, one-way alley in Van Nuys, naturally, and he’s called upon Mayor Antonio Villaraigosa to have it renamed Conan O’Brien Way. Should West Raymer Street be renamed? Conan had a chance to return to New York after leaving The Tonight Show last year, and he stayed put in his new hometown, so we say give the man the street! After all, to save the city money, he’s happy to provide the sign.